We don't expect there's a huge market for the Qumarion Humanoid Input Device ($TBA), but if you happen to be one of those people who could use it, it will likely be a game changer. 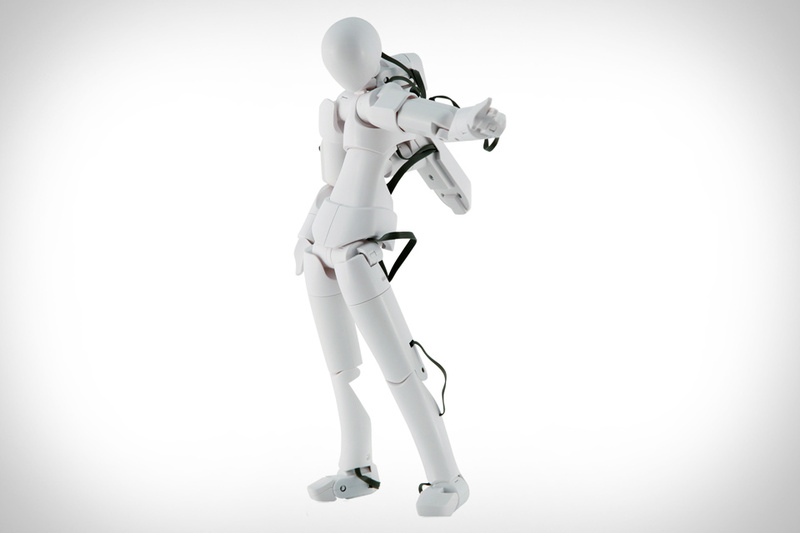 Like the ubiquitous artist models, the Qumarion is a posable, human-like figure — but unlike the artist models, it communicates directly with a computer. As a result, you can use the Qumarion to move and pose on-screen 3D characters, making once challenging poses and movements as simple as adjusting an action figure. Great for animators, illustrators, or people who just enjoy collecting unusual gadgets. Home studio recording just got simpler with the Propellerhead Balance ($450). This sleek, Red Dot-winning breakout box offers eight input connections — two high impedance guitar and bass inputs with pads, four line inputs, and two microphone preamps with phatom power — as well as balanced outputs and a powerful headphone amplifier. It connects to your computer via USB, and includes Reason Essentials, a fully-functional "basics"-style version of the company's award-winning Reason recording software. All you need are some instruments, a computer, and talent. Whether you're headed to the ball field, golf course, or just wandering the streets like the town drunk, the Beeracuda ($20) can keep you properly hydrated. The insulated sling holds five cans of your favorite beverage, while the shoulder strap offers a built-in koozie for your sixth. Beyond that, it's up to you — we recommend semi-frequent stops at 7-Eleven. Make tuning your guitar a thing of the past by picking up a new model with Gibson Min-ETune ($TBA). This clever, battery-powered robot tuner can tune all six strings in just seconds, and delivers over 75 tunings per charge. To do so, it tunes your physical strings — as opposed to digitally, which can result in degraded tone — and gives you access to 12 common alternative tunings, including six that you can program yourself. Available on a wide range of Gibson SG and Les Paul guitars. Take control of your music composition and performances like never before with the Ableton Push ($600-$1,200). This new instrument is powered by the USB cable that connects it to Ableton Live on your computer, giving you nearly endless creative options. The hardware itself — built by pad controller experts Akai Professional — consists of 64 velocity- and pressure-sensitive multicolored pads, with a layout that adapts to the track you have selected, along with a touch strip, 11 touch-sensitive endless encoders with a four-line LCD to show what you're working with, a bevy of knobs and buttons, and ports for foot switches to add even more control. Shipping in 2-3 months with either Live 9 Intro, Live 9 Standard, or Live 9 Suite.